If you aren’t already offering online ordering, you’re falling behind. The good news is, online ordering doesn’t have to be complicated. You can use the service to bring in new customers and make sure you’re offering the best customer experience for repeat patrons. There are many different types of online ordering services to choose from. Some services are built specifically for your restaurant (branded and customized). Other services aggregate your restaurant’s information into their own singularly-branded site and display your address, menu, and reviews. Take the time to consider what’s most important to you before making the investment. It’s common for restaurant employees to be familiar with the daily specials or a new dessert that hasn’t yet made it to the menu, but are you fully utilizing your options when it comes to promoting what’s available online? Make sure employees are also informing customers about your online menu and ordering site. Talk about how convenient it is for customers – reduced wait time, greater accuracy, and easy accessibility. You can even demonstrate it to them at a staff meeting. Also, make sure your employees are well versed on all of the latest features. Using an online ordering system streamlines the process because customers are able to complete an order in one step. They are able to order food, contact the restaurant, and pay for the meal. The restaurant can then print out the order to make the meal in preparation for pickup or delivery. This experience creates a positive relationship with customers and encourages them to order again. When receiving an order outside of online ordering, a restaurant is relying on the person taking the order not to make a mistake. However, several factors can come into play as to why an order was taken incorrectly: the restaurant was too loud, the phone reception was bad, the receiver can’t understand the customer, another customer could be calling in. An online ordering system gives the restaurant a chance to ensure their customers are receiving their orders exactly how they want them by offering all options, choices, and items in a digital format. You are putting the customers wants in their hands, which reduces wait times and order inefficiencies. By having online ordering, you make it possible for customers to place orders with the click of a button.. Now that most online ordering services have an app or other mobile capabilities, customers can find a restaurant’s online ordering site in the palm of their hand, choose what they want, and order without having to talk to anyone. In 2019, the number of mobile phone users is forecasted to reach 4.68 billion. In 2016, an estimated 62.9 percent of the worldwide population already owned a mobile phone. Knowing over 50% of the population is holding a mobile phone, you’ll want to make placing a mobile order at your restaurant as easy as possible. If a customer wants delivery, most of the times it’s because he or she doesn’t want to go to a restaurant. The customer experience now is very different from the past. In addition to taste, quality and price of the food item, customers also want convenience. If you don’t have online ordering, a customer is required to call the restaurant. To call the restaurant, the customer has to know ahead of time what they want to order along with the restaurant’s location and phone number. The process is time-consuming, and if the restaurant also does not have a website, the customer will look elsewhere. From the restaurant’s perspective, time is money. 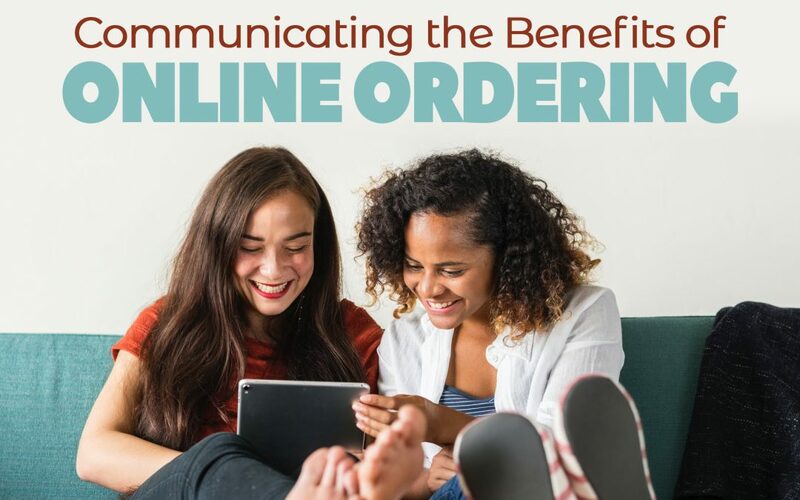 Sales and total orders sizes are higher online than in-store because a restaurant has more opportunities to upsell and cross-sell their items, plus the ease of ordering online creates a good buying experience without rushing customers through the ordering process. Customers feel more comfortable ordering that ‘maybe-not-needed’ side of french fries when placing an order on their phone versus in person. In fact, Pizza Sales reports that the average online pizza order is 18% higher than orders by phone. Restaurants using online-ordering were able to grow their takeout revenue by an average of 30%. In fact, one in five doubled their takeout revenue. Use NetWaiter to attract more local customers to your restaurant.